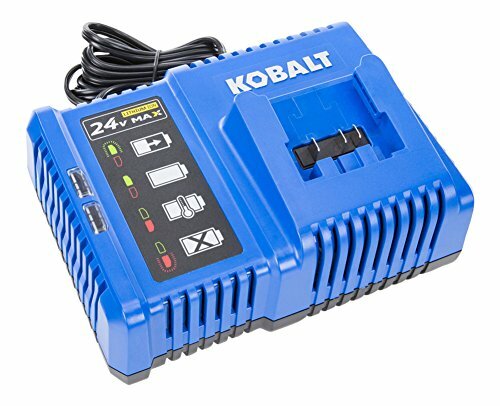 Recharge your batteries quickly and intelligently with this Kobalt 24-volt max charger. Built to refuel 24-volt max Li-ion batteries, your power tools will be up and running again in at least 30 minutes, minimizing downtime on the job. With the convenient LED charge indicator, you can easily monitor when your battery is ready to be used again.